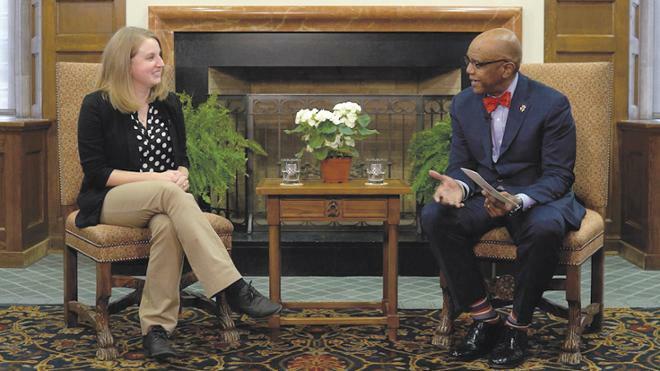 Spider Talks, President Crutcher’s interview series with faculty, continues this fall. This semester’s videos include Russia and international studies expert Yvonne Howell on how language can amplify our world and anthropologist Jennifer Nourse discussing her research in Indonesia. The videos are posted monthly during the fall and spring semesters and promoted via Spider Pride newsletters. Previous interviews in the series are also available on the site. The 56,000-square-foot Queally Center was built to LEED silver or gold standards; a final rating is pending. Major gifts from nearly 50 donors supported its construction, including a significant lead gift by 1986 graduates Paul and Anne-Marie Queally. In August, the university announced that the 2016 renovation of Richmond Hall achieved LEED gold certification. … and on your screen. For the fourth time in four years, University of Richmond Magazine received a national award from the Council for Advancement and Support of Education (CASE), a leading higher education organization. The magazine was one of four honored for general excellence among university magazines with circulations between 30,000 and 74,999, the mid-range category. The other honorees were Harvard, Smith, and Oberlin.